On our last full day in Florence we did what wealthy Florentines have done for centuries – escaped to the hills above the city. Being wowed by Fiesole on our last Florence trip I definitely wanted to revisit the one-time rural retreat of the Medicis – interesting and so beautiful, the best place to spend a quiet sunny morning. We took the bus, left the city and wound our way slowly through the hills and into the countryside. Everywhere became more lush and more green with lots of cypress trees and winding roads. 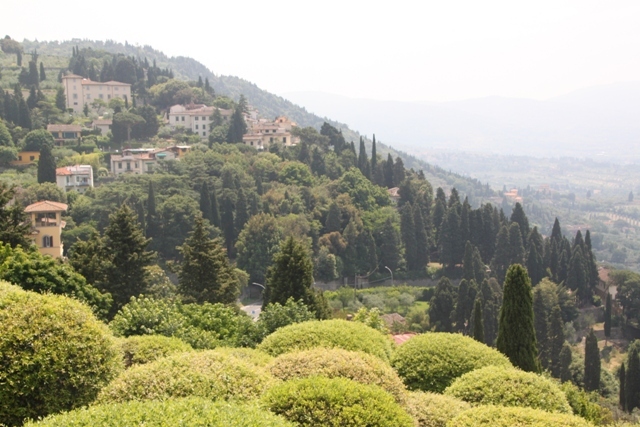 The scenery en route and the setting of Fiesole are just gorgeous. Once a bustling Etruscan settlement and then a Roman town, this place was the equal of Florence until the Medieval era. During the Rennaissance the Medicis used it as their bolt hole of choice and built sumptuous villas on the hillside. Today it is peaceful, quiet and quite a change from the hustle and bustle of the city down below. A bit cooler – we noticed with gratitude the effects of the cooling breeze. 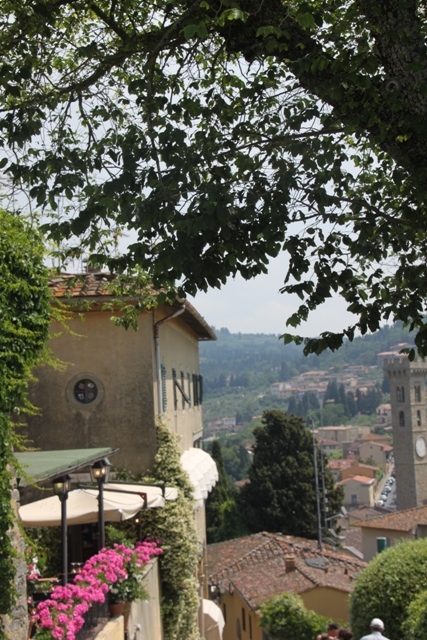 Fiesole is a bit of a movie star too – the walk from Florence up here earned a scene in A Room With A View. 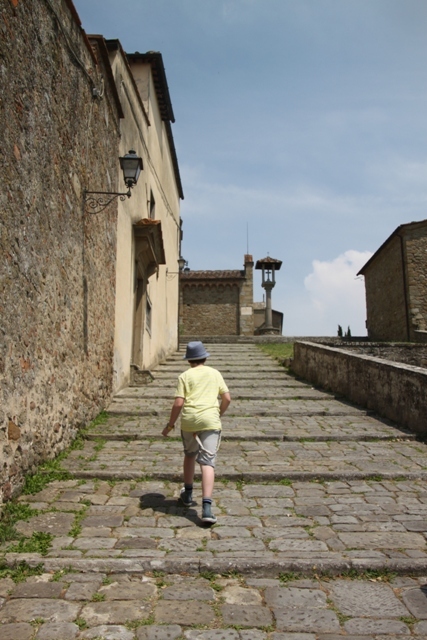 We got off the bus in the little square and tackled the first of the Fiesole hills – no end of these. We hiked up a pedestrianised and steep street, got to see the Etruscan walls and found a terrace with a spectacular panoramic view over the hills and down to the city below. A peek in the little church, a walk in the woods before we made our way back to the main square again for pizza at a little pavement cafe. 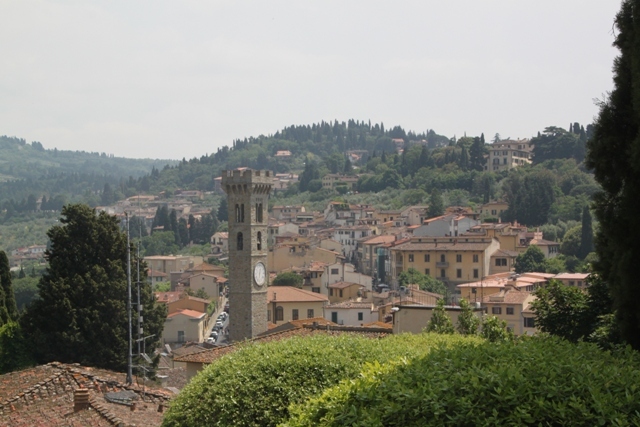 Fiesole is just perfect – a great break from the big city and a lovely taste of small-town Italy. It’s so lovely Rosemary – completely different to all the hustle and bustle of Florence, we loved it last time and just as much this time. Hope you enjoy your weekend too!! This is beautiful Joy! I would love to go to Florence one day. It looks as though it was a wonderful weekend. It is a beautiful and fascinating city Katie – highly recommend a visit there, we loved it! Beautiful photos, as always. 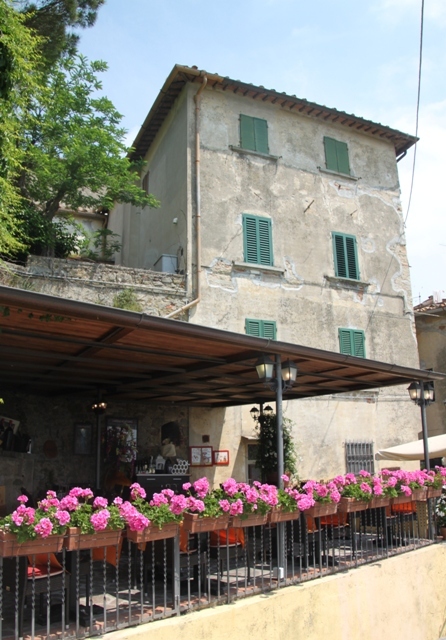 The scenery is typically for the Italian coutry side. Thanks for sharing! Thanks Erika – I just love the countryside around Florence – so stunning. Have a great weekend. It is a gorgeous and peaceful place Suzanne! Have a great weekend. Wow! That looks absolutely charming. I can imagine myself in any one of your photos relaxing and enjoying some delicious Italian food and a lovely glass of wine. We did just that at the end – the wine was delicious (food wasn’t bad either!!). It looks like a lovely place! Great photos! Thanks for sharing! 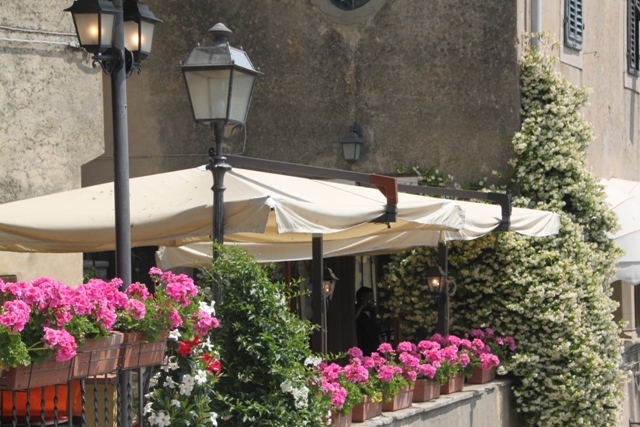 Thanks Caryn – it is absolutely gorgeous, a haven of peace and quiet just a little bit away from the busy centre of Florence. Quite a contrast to the busy city below and a special place. I know what you mean Ana – I feel a bit like that now too!! Would love to be back there now. I’m making note of all your tidbits. How long of a bus ride is it to Fiesole? I’ve not been there and am sure I would be charmed by it. It’s not far at all – depends how many stops the bus makes but it took about 20 minutes for us from the centre. 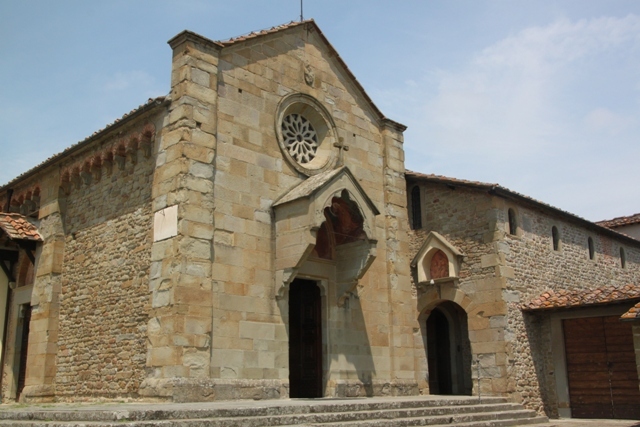 The journey out of the city and up to Fiesole is very nice too – it goes past really quickly. Great pictures – what a charming place! 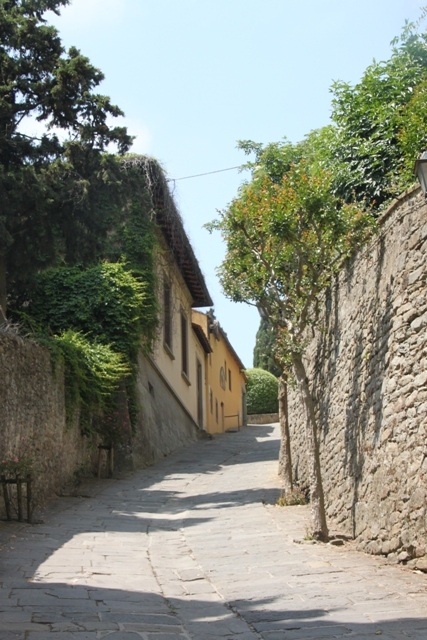 Thanks Meg – it’s gorgeous, so peaceful and quiet yet so close to the hustle and bustle of Florence. This is awesome! I really felt like I was traveling along with. A close friend of mine keeps telling me I need to go to Florence ASAP so I’ll have to keep this in mind. Thanks for the post!! Thanks for reading Courtney and commenting!! We just loved Florence, beautiful and so much to see and do, hope you get to visit sometime soon! We went there years ago so when we made it back to Florence I was keen to return. I wasn’t disappointed, it’s gorgeous! Thank you for reading and commenting! It is a gorgeous place and very timeless.